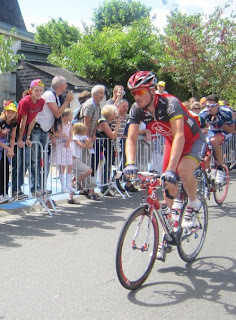 From the 2010 Tour de France at the start of Stage #18 in Salies-de-Bearn. I hadn't included these before. The Pays Basque region (the area around Salies-de-Bearn) is a wonderful part of the Pyrenees.